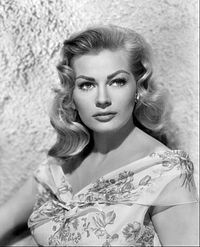 Kerstin Anita Marianne Ekberg (29 September 1931 – 11 Januar 2015) wis a Swedish actress. She wis born in Malmö, Skåne. She wis best kent for her role in the movie La Dolce Vita (1960), which wis directit bi Federico Fellini. Ekberg died frae a lang-illness in Castelli Romani, Italy, agit 83.